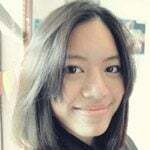 Prestine is from Penang in Malaysia and is majoring in Advertising at Chicago's DePaul University. My travelling itch gets stronger whenever Summer is approaching. Summer means holidays, and holidays mean I will have three months of time to do whatever makes me happy. Travelling makes me happy and content in life. 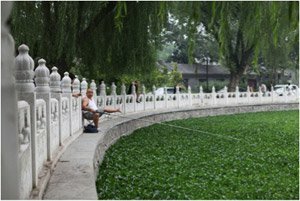 These are some photos of things that surprised me: a man fishing in a lake of lotus leaves. Last year, I visited Hong Kong, Taiwan and Indonesia with my family. This year, I decided to visit China, by myself. As a Malaysian Chinese, it had always been a shame for me to never step on the land of China in 20 years of my life. I am Chinese; I speak Mandarin; I speak two dialects of China – Cantonese and Hokkien; I worship Confucianism; I use chopsticks; I drink oolong tea; I play traditional Chinese flute as a hobby; I was raised under authentic Chinese culture. 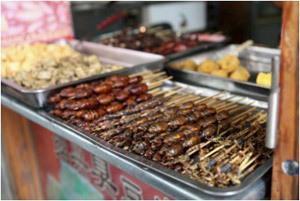 Street food – barbequed insects! Even though I feel 90% Chinese, I will not be truly Chinese until I return to the land where my ancestors lived. Having this thought, I see visiting China mainland as a ritual for me to turn 100% Chinese. This is a ‘milkbox’. Like a mailbox, but for fresh milk delivery. As I am writing this, my trip to China has ended yet I still feel like 90% of Chinese, maybe less. Believe it or not, I had such a HUGE cultural shock during my days in China. 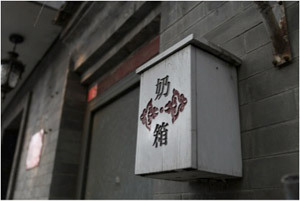 Despite speaking the mutual language and sharing the same traditional culture with people in China. Everything was so different. Very different! For example, people tend to cut queues in China and they would care less even you stand up for your right. I found this weird when I was in China. I thought these were pencils or sweets, but they’re cigarettes! 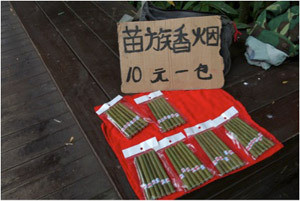 Other than this, I’ve encountered many interesting things in China as well. Most of my days in China were a mixture of new, fun and exciting experiences and not-so-fun events that got me upset.